dedicate a person from their end who will work under the guidance of the consultants. 2. Preparing the pre-bid questionnaire and attending pre-bid meetings for locations which are not easily accessible to the participating company. Here we can tie-up with local representatives on behalf of participating companies. 3. Review of the documentation prepared by the representative of participating company as a response to the RFP / Tender. In this case there may be multiple sessions required depending the size of documentation and quality of preparation done by the representatives. 4. Finalisation of Bidding Documentation. 5. Guidance on online bidding and usage of Digital Signature. 1.These unique add on Tenders Support services are provided in Premium Membership and allow our clients to freely try these services. 2. Existing clients get not only the tender information but also Tenders Support services. Our clients can count on us and treat us as source of guidance where ever they need help. This helps us in maintaining long term business relationship. 3. At a very minimal price, our client gets proper guidance on procurement documentation thus increasing their chances of winning the tenders. Who Can Take Advantages of Our e-Tendering Support Services? 4. New Companies wishing to participate in Indian Tenders. 5. Joint Venture / Consortium bidding where there is complicated bid collation. 6. Companies where there is no formal Bid Management setup like Presales Team. 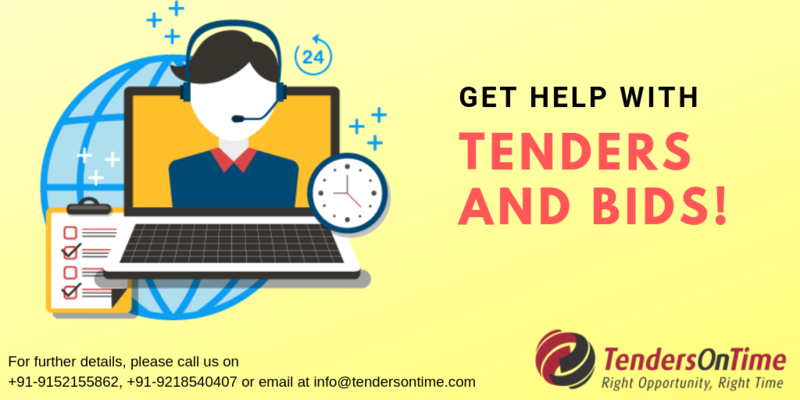 TendersOnTime.com extends its Bid Facilitation and Assistance Services for its members in India and globally to help users where they do not have local presence. With the help of our global bid assistance network of local agents spread across more than 75+ countries and our in-house expert Bid Consultants, we help our members in Bidding for projects across the globe. 1. Procuring Bid Document from Tendering Authorities worldwide and making it available to our clients on time. 2. Before deciding to bid for a tender, advising you on the Tendering Bid Strategy. 3. Submission of Tender Proposal/Bid with logistical assistance required to carry out the same. If you are not successful in the past or If you are in any way unsure about the bid evaluation process and feel that there was something which made the bidding process unfair, and you would like to challenge it – don’t be afraid to do so, it is not uncommon for tenders to be re-issued due to an anomaly of some sort. Get Tenders Before Others. Over 1 million+ Tenders. No more Junk Tenders. 24x7 Support available.